Do you ever find yourself wishing that you had more space for your family to sleep when you travel on vacation? 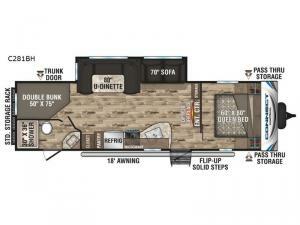 You will never have to wish for that again when you take your next family getaway in this travel trailer because it has enough space to bring along anything and anyone. Because of the set of double size bunk beds that have been included, ten family members can stay overnight whenever needed. The private bedroom allows you to escape from the chaos and exhaustion of everyday life in order to charge your batteries for outside adventures. You can make meals, dine and play games in the kitchen and living area while enjoying the LED TV and optional fireplace if you decided to get that feature. The rear bath even includes an exterior entry door which is quiet handy when having fun outside. 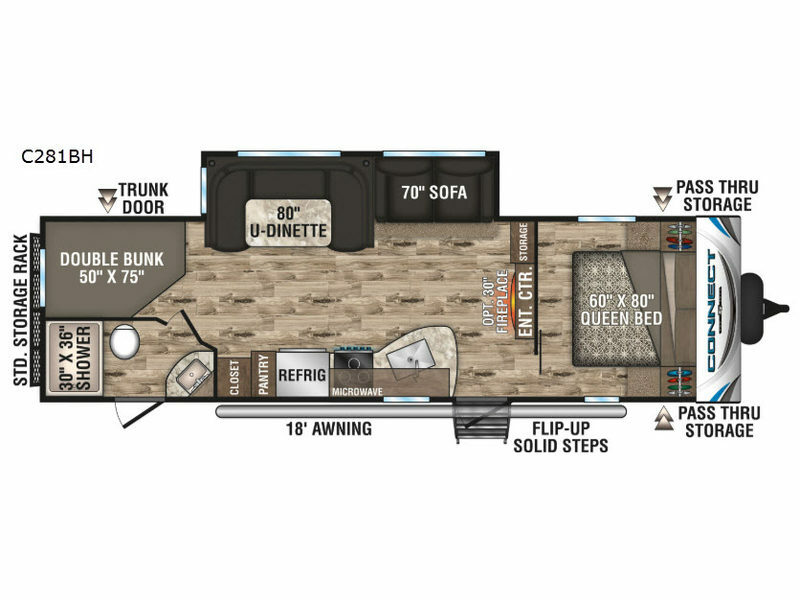 You will also find plenty of storage throughout! Load up and head out!